Deeann Callis Graham calls Skagit Valley home. She is a wife, mother, published author, small business owner, public speaker and life coach. In her free time, she plays competitive volleyball and gets creatively-motivated with her fellow authors. Her love of Hawaiian music and strong desire to one day properly learn to hula and play the ukelele are small ways she tries to connect with her Hawaiian heritage. Graham started writing in elementary school. When she wrote an award-winning Halloween essay in the fifth grade, she realized her love of writing and the positive effect it could have on readers. After college, Deeann set aside her pen to dedicate more time and energy into running a business, having a family, and building a home. 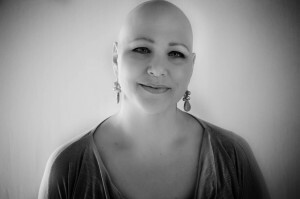 She rediscovered the healing power of writing when she had her second bout of alopecia areata. With the complete loss of her hair, her identity also slowly disappeared. Writing enabled Deeann to reclaim who she was, with or without hair, and allowed her to reach out to others with similar stories to create Head-On, Stories of Alopecia. After decades of not knowing a single person with alopecia, Deeann finally met others who understood. By connecting with all these incredible writers and sharing the message of “we are more than just our hair,” she discovered how to love who she was and how she looked without hair. Coordinating Head-On, Stories of Alopecia has been a rewarding experience, and it has become everything she would have wanted to see and read when she was first diagnosed as a child. Met you at the Scottsdale convention. God bless you and your work. I know you are a big help to others with the same condition.